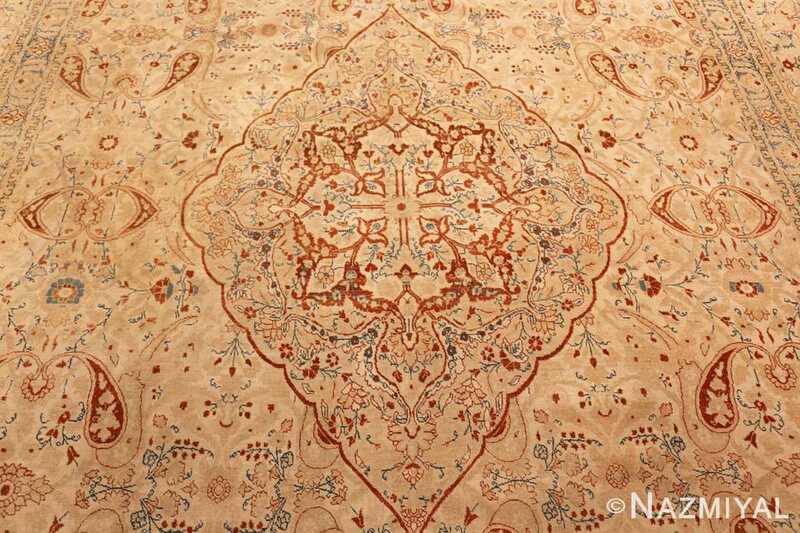 Breathtaking Ivory Background Antique Tabriz Haji Jalili Persian Rug 49347, Country of Origin / Rug Type: Persian Rug, Circa Date: 1900 – A single unified background defines this rug, allowing the elements at the foreground of this magnificent antique Persian Tabriz Haji Jalili carpet to captivate the viewer’s attention like the action at the center of a stage. 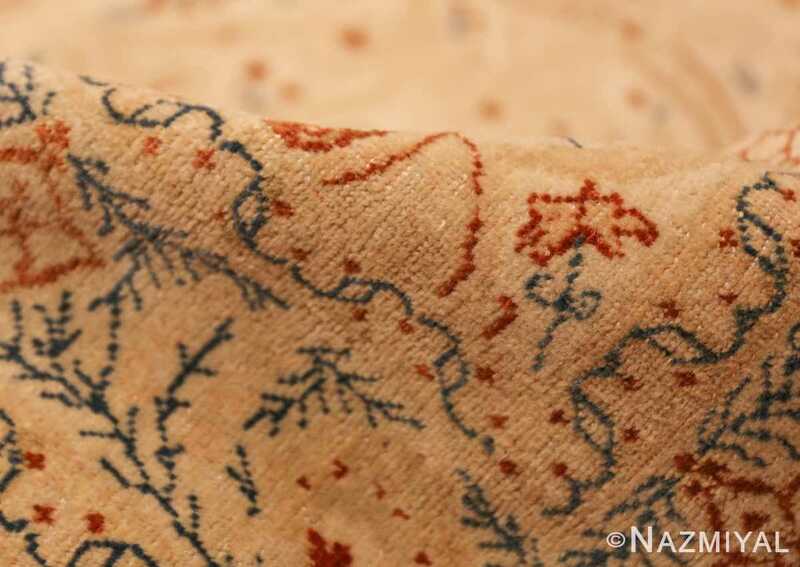 Strong contrast and thin lines result in a calligraphic effect on the surface of the antique Persian rug, made all the more pronounced thanks to the use of a beautiful parchment tone for the backdrop. 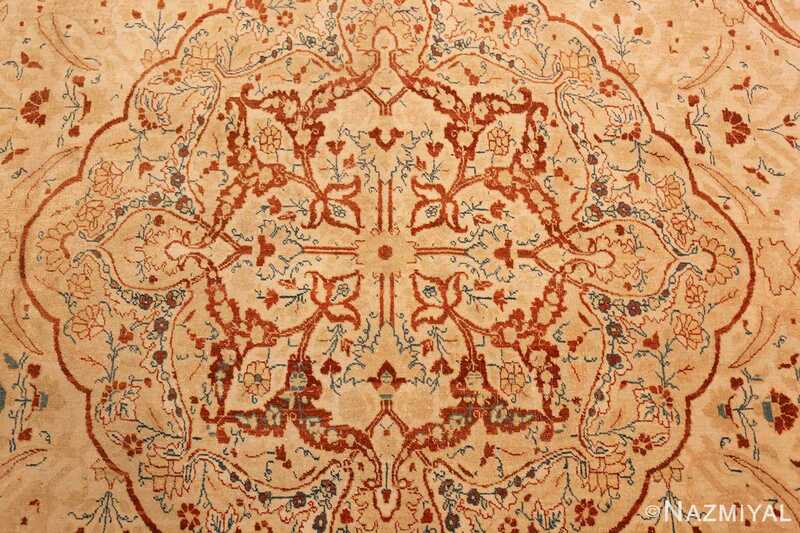 Several borders frame around each other and lead the viewer’s attention inward, where they are free to browse through the symmetric details presented at the very center of the antique Persian Tabriz rug. 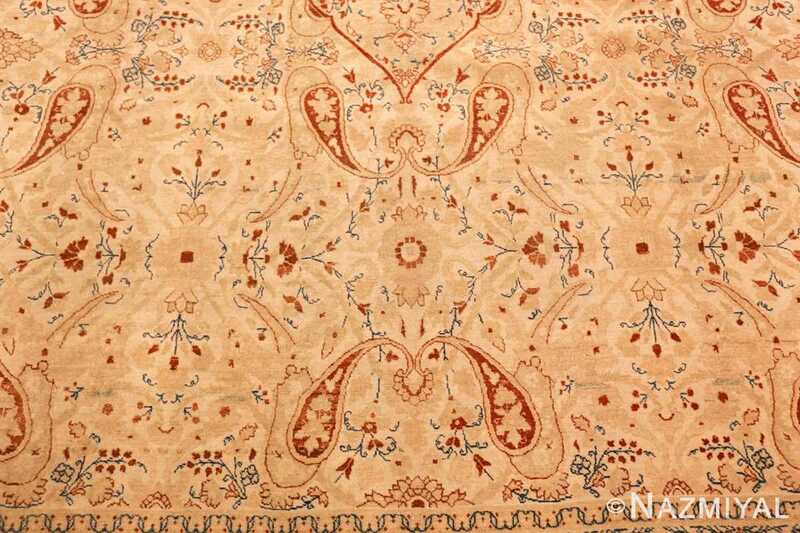 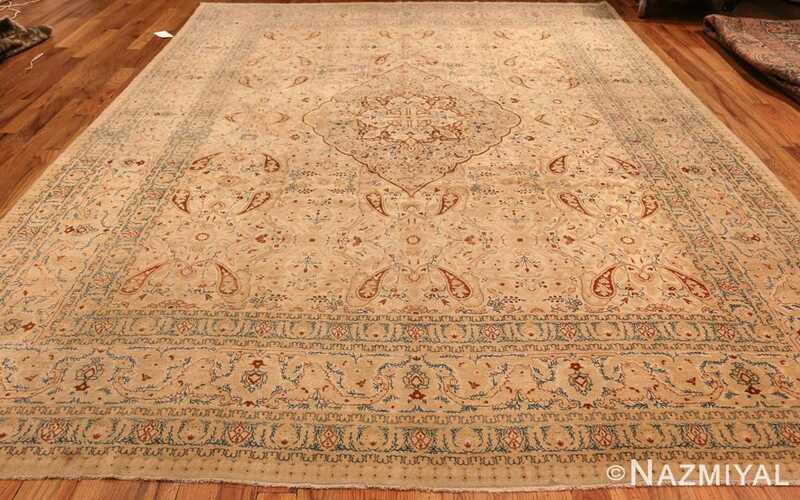 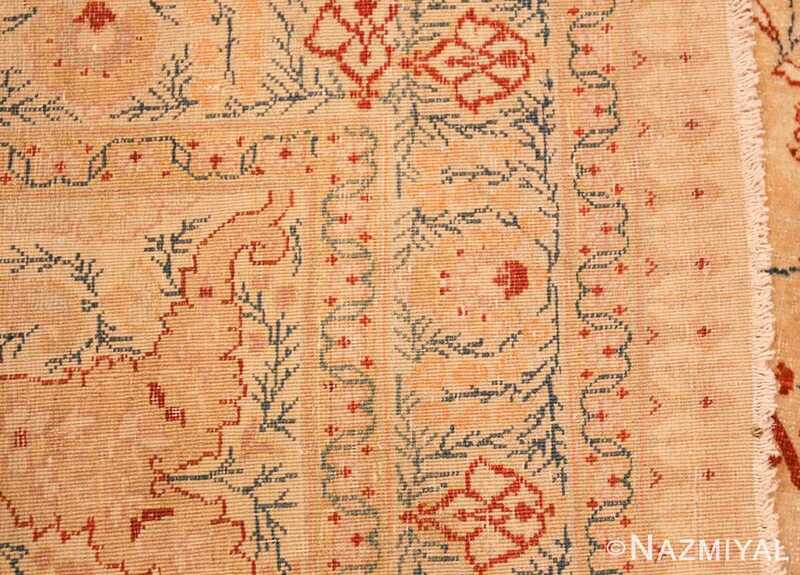 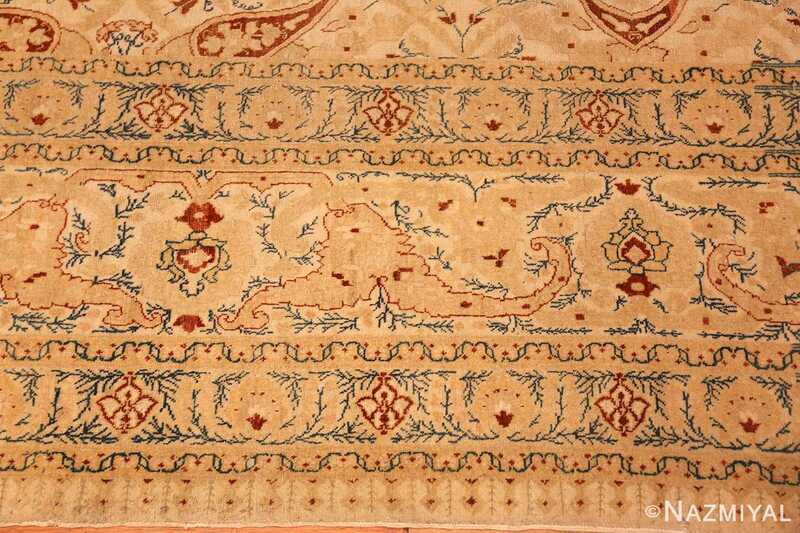 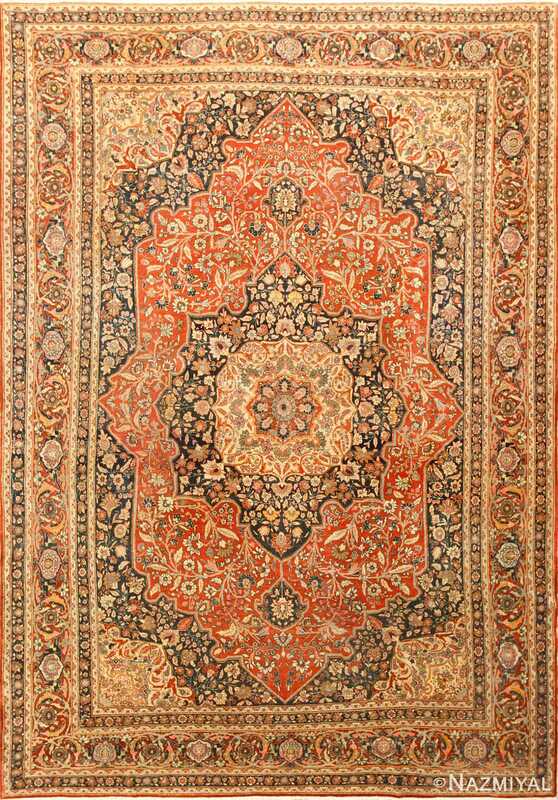 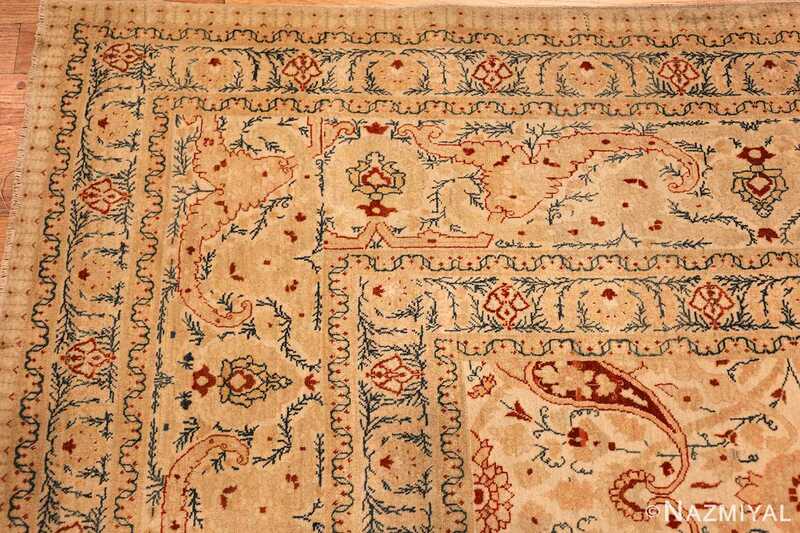 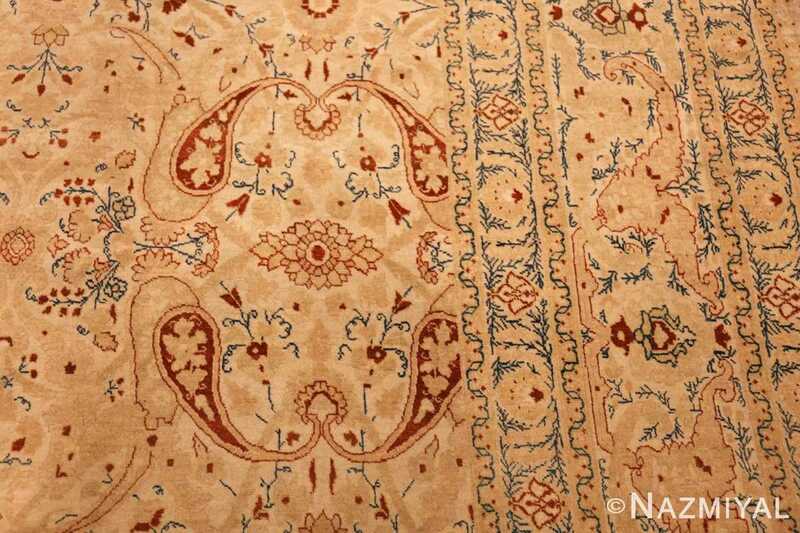 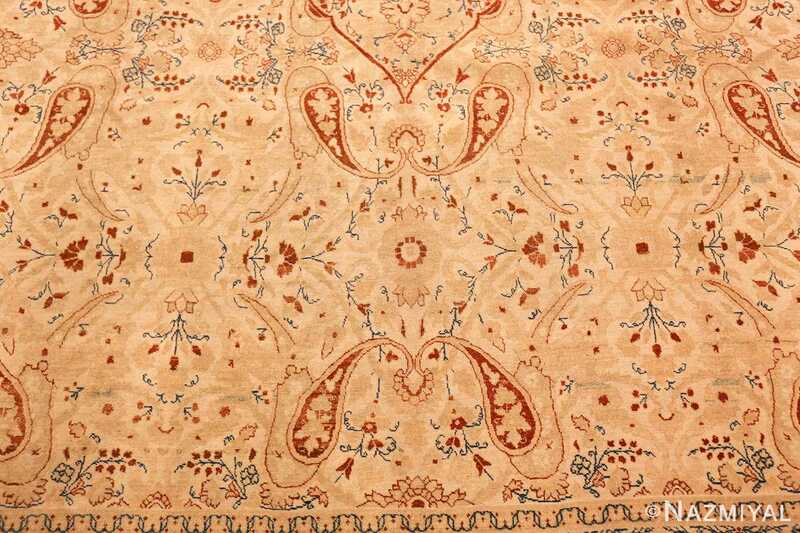 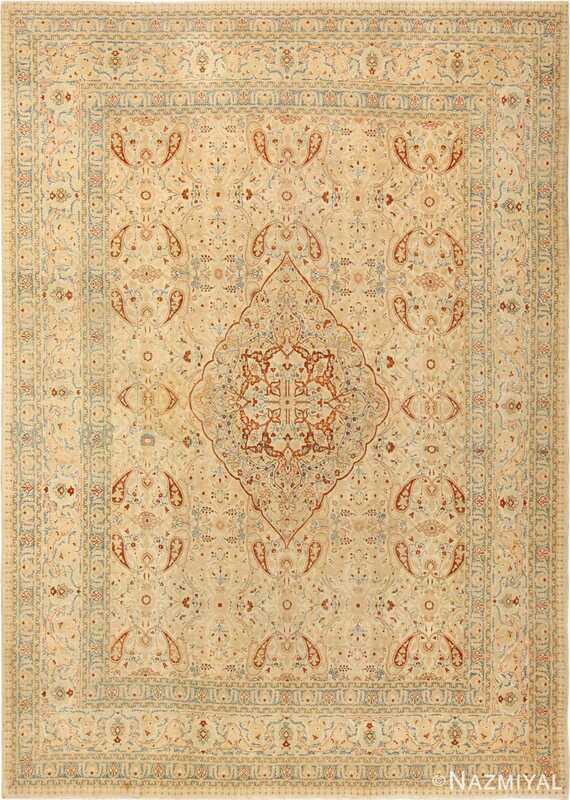 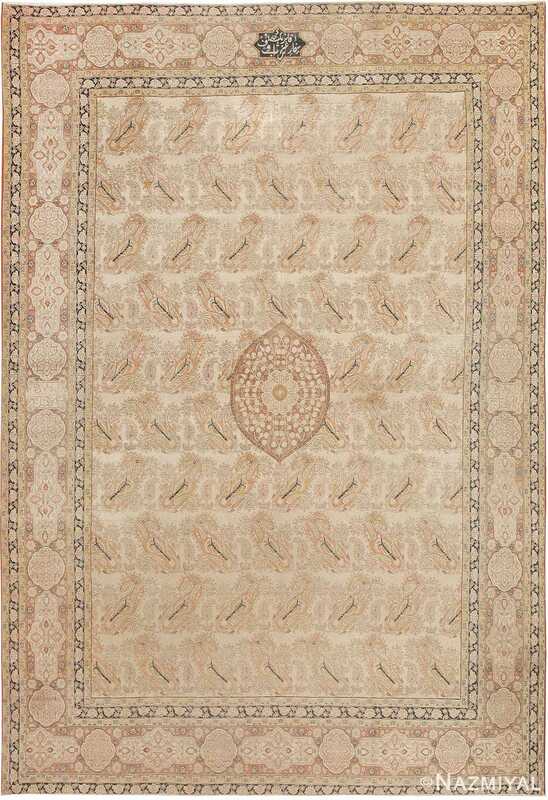 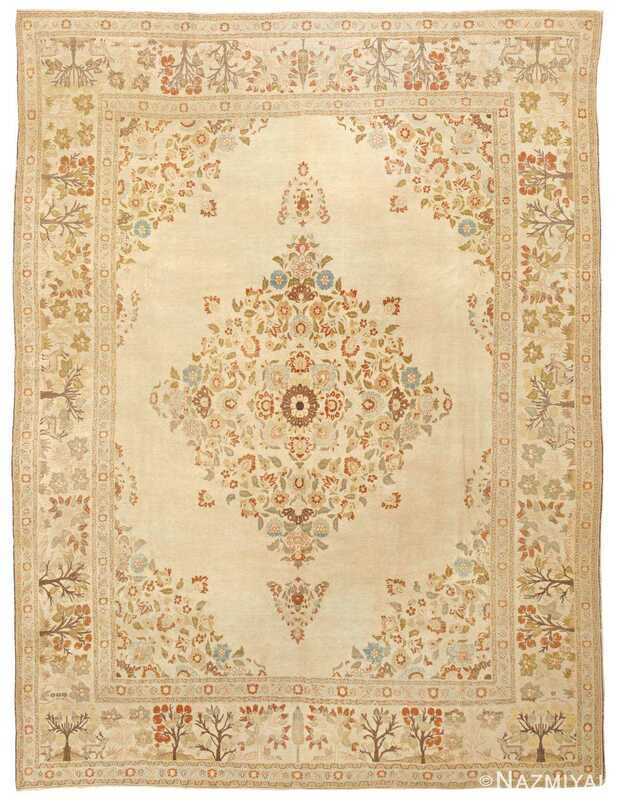 The vibrant diamond at the heart of the antique carpet helps to center the motifs present throughout.